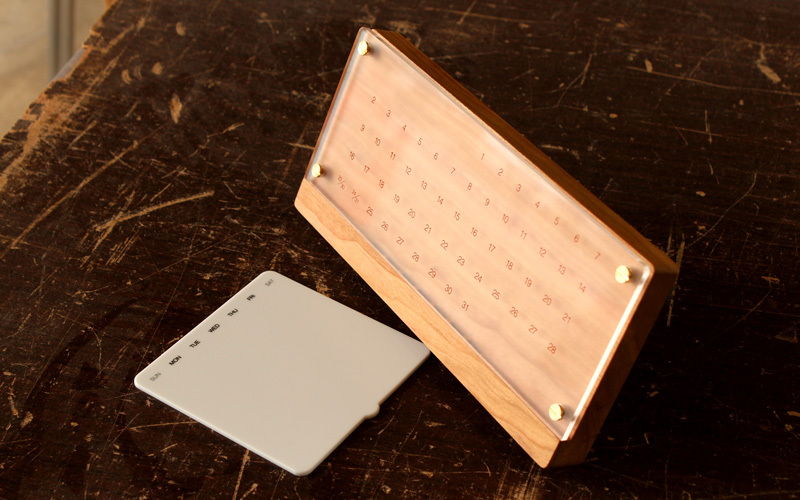 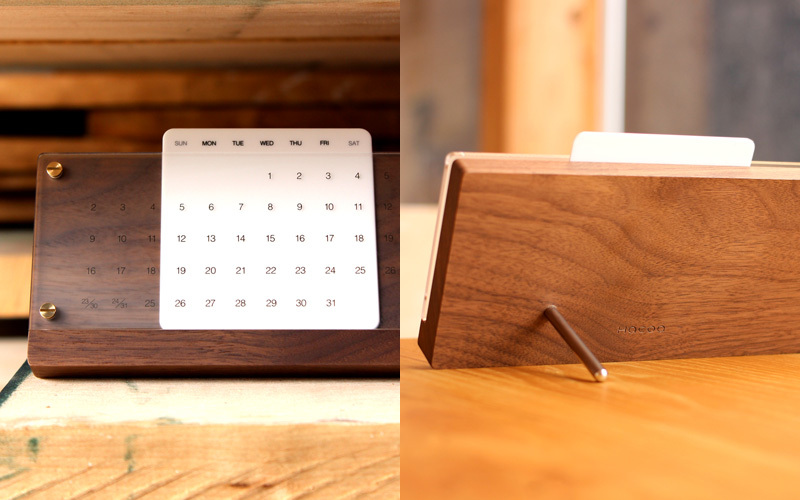 Carved out of solid timber, this perpetual calendar adds profound feeling to your desk. 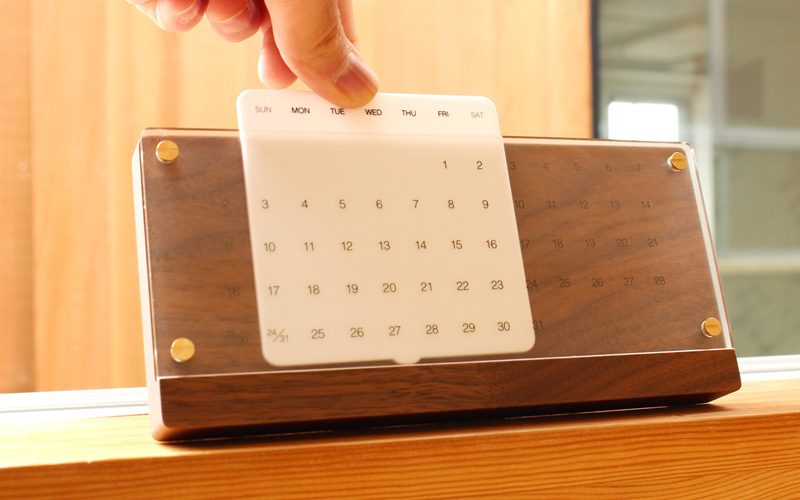 Finding the correct combination of days of the week and date by sliding the white board lets you start another month. 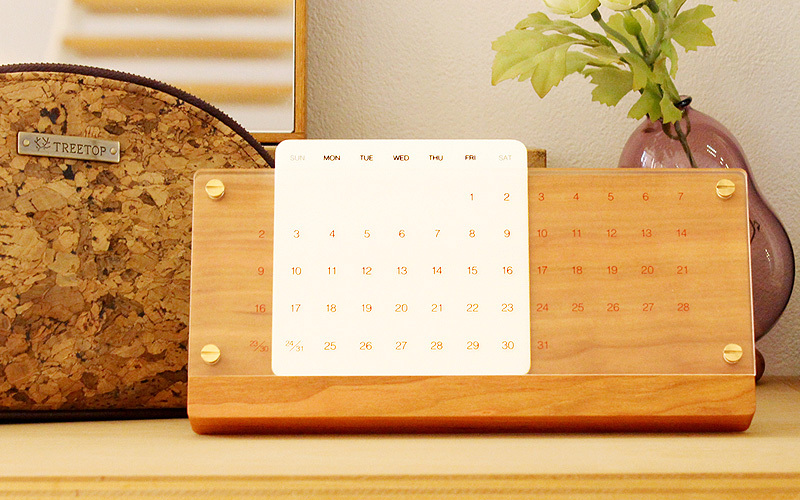 As well as beautiful grain pattern, you can enjoy original characteristics of the natural material with rich texture and luster developed over time.